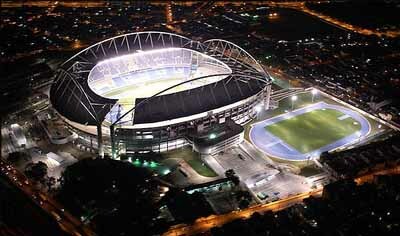 The Maracana was built in 1950 for the fourth World Cup, the first after a twelve-year absence due to World War II. When the stadium opened on June 16, 1950, it was officially known as the Estadio Municipal. Later, in 1964, it was named after Mario Filho, the founder of Jornal dos Sports, Rio de Janeiro's daily newspaper. However, to the locals, it was simply called the Maracana, taking its name from the small river that flows by the facility. The capacity of stadium is 199,000 spectators.